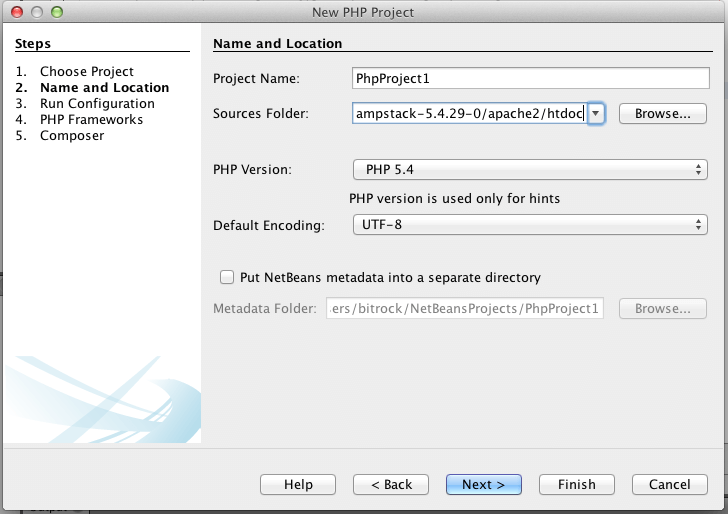 NOTE: Before starting, install the Bitnami LAMP, MAMP or WAMP Stack with the NetBeans IDE and its PHP module. Create your first project in NetBeans using “File -> New Project”. 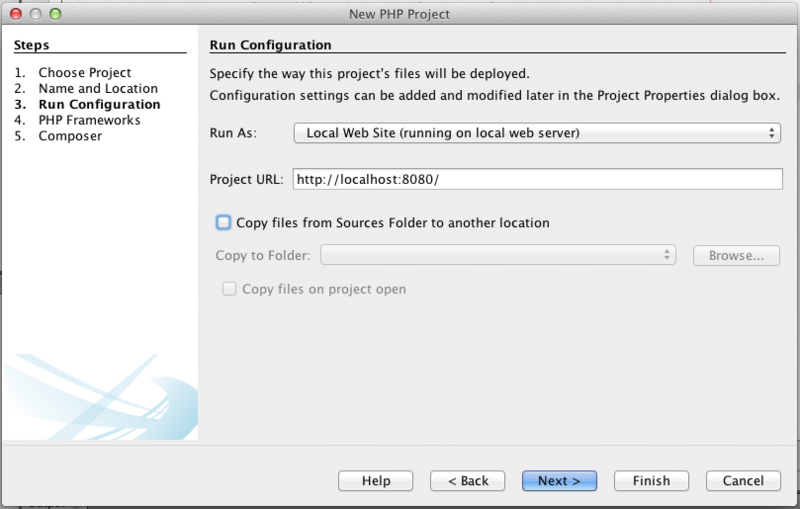 Select the PHP category and start a new PHP application project. Save the source files in the /Applications/mampstack-VERSION/apache2/htdocs directory (Mac OS X), C:\Bitnami\wampstack-VERSION\apache2\htdocs (Windows) or /home/USER/lampstack-VERSION/apache2/htdocs (Linux). Select how to run your project. Select “Local Web Site” so it is only necessary to set the URL. This URL will be different depending on your platform. Use http://localhost:8080 for Linux and Mac OS X, and http://localhost for Windows. 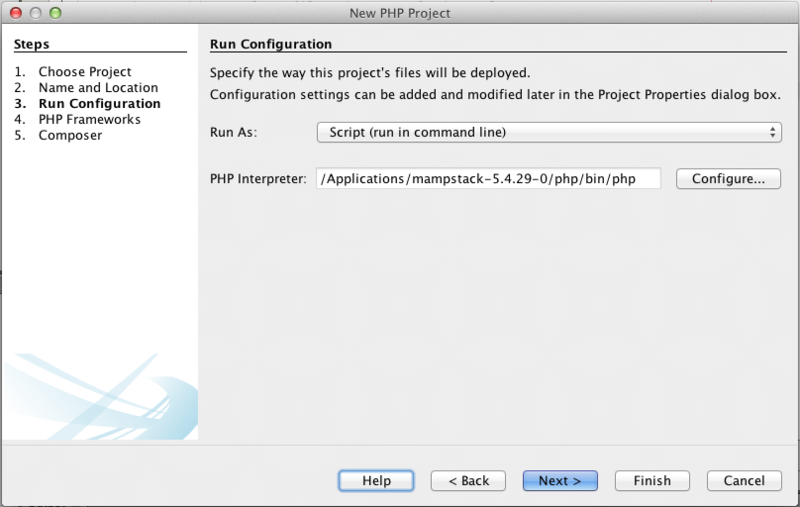 It is also possible to run PHP scripts from the command line. Set the path to the PHP binary file to /Applications/mampstack-VERSION/php/bin/php (Mac OS X), /home/USER/lampstack-VERSION/php/bin/php (Linux) or C:\Bitnami\wampstack-VERSION\php\php\php.exe (Windows). Once you start a new project, also start debugging your application from the NetBeans interface. If you want to configure an existing project with the Bitnami LAMP, MAMP or WAMP Stack, you can also modify the project settings.